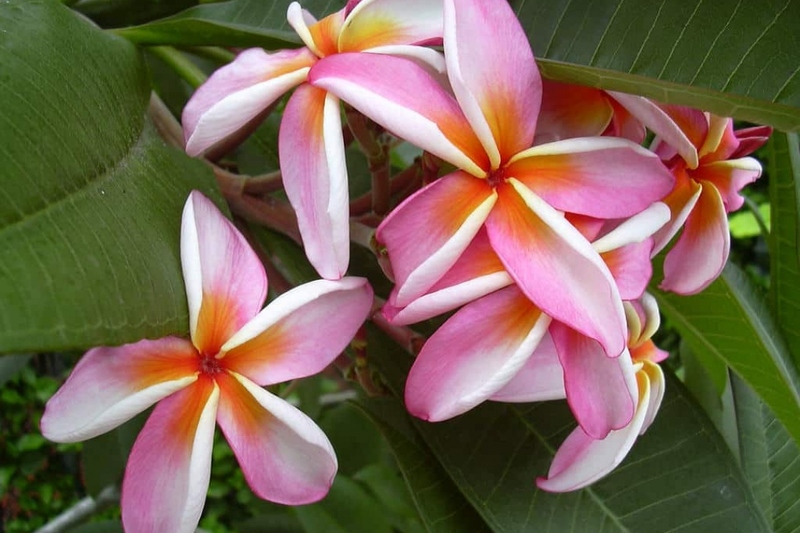 Frangipani (Plumeria rubra): growing, planting, caring. An exotic-looking shrub with an exceptional scent! Full description for Plumeria rubra not yet available. Choose a bright and ideally sunny spot - but not too hot right behind a window for your frangipani. Note that a certain contrast between the seasons, the dry winter period - where you will water it very little or even not at all - and the wet summer period is needed for a successful bloom ! From spring to summer, especially if it's hot, water regularly your frangipani - it is the essential condition for it to bloom. Use non-calcareous water if possible. In winter, leave it at rest, the earth can even dry completely.